Weed in Space. You heard it first here. Click here for a fun tumblr blog. A Call for More Scientific Truth in Product Warning Labels. The Allentown School District Planetarium (in Pennsylvania) has space quizzes. Here is a list of the fun titles of teams. Here' what happens if the astronaut becomes the food. Photo from futurist movies website. This is a good place to read about movies with "explicit depictions of the future" and/or depictions of significant events that have yet to occur." Photo put on Flickr by Flickr ID: worldislandinfor.com. Astro-themed foods: Liz and Bill's Cosmic Adventures. Click on video below. There are nine other episodes in this video series on Astronomy Magazine's website. Astro Beer. Click here to view an astronaut having a well deserved break with a bottled beer on the moon. Photo by Flickr ID: RoadTripper33. Food in Space Photos. Click here for a fun tumbler blog. Space Sticks we sold to general public circa 1970. I was a child then and though they were fun. I don't know people would still want to get them. Here is a website that sells them and shares the history of space sticks including some vintage TV commercials. I enjoy sundials as astronomical instruments and as works of art. A yew hedge sundial in England (Flickr ID: Fizikal Rex). What do you do if you can't read the time on a sundial? Ask the sundial to move. "AstroCappella is a marriage of astronomy and music, developed by astronomers and educators and professionally recorded by the rocking a cappella group The Chromatics." Click here to go to AstroCappella website. Brian Malow - Earth's Premier Science Comedian. Check him out. He's available for off-world appearances, if transportation is provided. Jokes and Science by Julian Trubin. 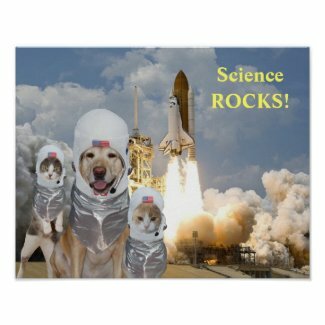 This website joins web sites with humor about science and scientists. Click here for the website of scientist turned Comedian Tim Lee.